You have probably heard the saying before. Everybody gets dealt the same amount of good hands and bad hands in poker in the long run. And it is totally true. Furthermore, these hands tend to play themselves. You should be betting all of your big hands for value and you want to be folding most of the time when you have nothing. Easy game right? So why is it that only a small amount of people end up winning really big in this game creating a nice side income or even a full time one? The answer is that they steal way more of all those little pots where everybody has some sort of mediocre hand like a weak pair or a draw. These are the pots that most people aren't really willing to fight for at the end of the day. And winning more of these pots than the next guy cuts to the very heart of elite poker. I have been working all year behind the scenes on a new book that is literally all about this exact topic. But before that finally gets released I wanted to discuss a few of my favorite ways to take more pots away from the regulars at the micros. Arguably the very best way to steal more pots from the regs in today's micro stakes games is to float them a lot more often. What I mean by this is that you call in position on the flop with the intention of taking the pot away on a later street. 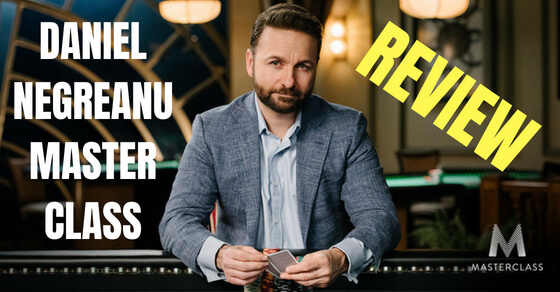 The reason why this strategy works so well is because there are still a ton of regs at the lower stakes who will frequently bet the flop but if you are still around by the turn, they will often just give up. This means that you can make a simple bet and just take down the pot. 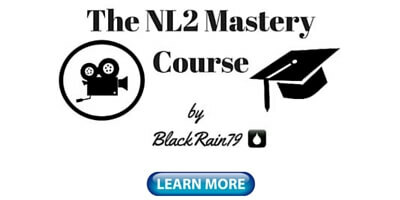 The player above is a typical example of a nitty 6max regular that you will see everywhere at the micros. Bets the flop 73% of the time. Only bets the turn 38%. I would float this guy so often it's ridiculous. Some regs are so transparent like this that your hand almost becomes irrelevant. It's just free money. I am always on the lookout for players like this and that is why I always have these stats on my HUD like you see above. There really is no easier way to start stealing more pots from all the weak regs at the micros these days than this. If they have a big gap between Flop Cbet% and Turn CBet%, then just float them wide in position and make a bet when they check and give up on the turn. Another one of my favorite strategies is to play my draws fast. What I mean by this is that I will often raise my flush or straight draw for instance on the flop and then follow it up on the turn if they are still around. If I manage to hit my draw on the turn, that's great. But I am betting either way. The reason why this strategy works so well against a lot of micro stakes regs is because it applies a ton of pressure without really risking a lot. And once again I will target the weaker regs that tend to give up on pots too easily. Your HUD can be very helpful here once again. I will really focus on the regs with a low WTSD% (went to showdown). 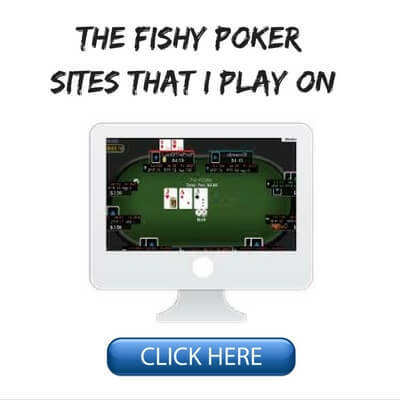 And if I have enough hands on them then I will also check their fold to flop raise and fold to turn bet as well. The bottom line is that pressure and aggression is the best way to start stealing more pots from many of the regulars at the lower stakes these days. Often they just won't be willing to fight for it. They will just "let it go and look for a better spot." How many times have you heard people say that? That's just money in the bank. 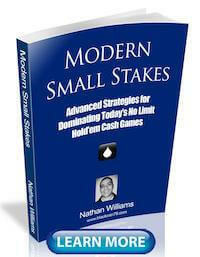 If you have some equity with a draw for instance, try playing it fast a little more often by raising and betting. Do this especially against the weaker players. This will give you more ways to win the pot. You can win by either making the best hand or forcing them to fold. Now of course there are also quite a few aggressive regs at the micros these days as well. The strategies that I have discussed so far won't work nearly as well against them so you need to take a different approach. I know that this is going to sound a little bit crazy. But versus many of the highly aggro regs at the micros these days the best strategy to beat them is just to literally become a calling station against them. Years ago they used to call you a "donkey" in poker and make fun of you if you called too much. But in today's games many of the biggest winners have realized that the best counter strategy to insane levels of aggression is to simply call down with a wider range. 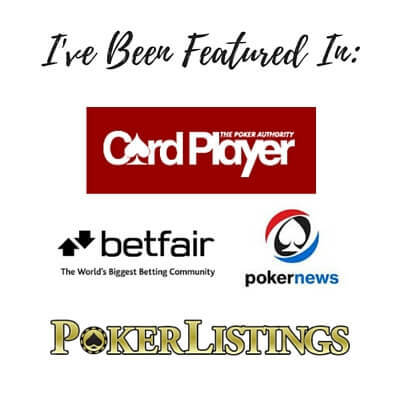 Go watch any mid or high stakes game online these days and you can see this in action for yourself. Poker has almost become like a game of chicken at these limits now. What you will often see is one reg barreling away at the pot and the other reg is just in total call down mode hanging on with some weak pair or a draw. And these guys are playing for thousands of dollars in many cases! The next time some highly aggressive reg at the micros 3Bets you and then starts bombing away at the pot after the flop, consider hero calling them lighter than you normally would (top pair, even middle pair sometimes). There is no reason to raise at any point. So much of the time they are just on some ridiculous bluff. Better to just let them keep tossing their dead money in the middle. Now I have talked about 3Betting the weak regs with a wide range a million times before on this blog and in all my books and videos. 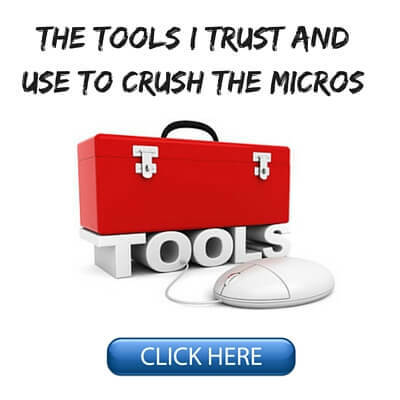 It is still an awesome strategy and it still works really well at the micros. But another related strategy that works just as well against the good aggressive regs is to 4Bet them light when it is obvious that they are just light 3Betting a weak reg or a fish. These are all hands that can potentially flop big and make a monster but they are too weak to flat a 3Bet with. If I see them clearly trying to take advantage of a weak player in position by 3Betting light, then I will just go ahead and cold 4Bet them light with all my strong premium hands and with this range of speculative hands as well. Sometimes they even know exactly what I am doing but there isn't much they can do about it. This simple play can yield you an easy ~10bb-15bb after everybody folds (original raise + 3Bet). The last way to win more pots at the micros is to bluff the river more often. Most regs at the micros either don't bluff the river often enough or they don't do it in the right spots. One of the most important reasons why you should bluff is if you have something like 6 high on the river. Clearly there is no way on earth that you are going to win the pot unless you bluff at it. Now this doesn't necessarily mean that you should bluff. However, when I am in a spot like this I am always going to at least ask myself if there is any conceivable way to win the pot by betting. Because checking it down and giving up like many people do is a guaranteed loss. Secondly, one of the biggest reasons why bluffs aren't successful at the micros is because they aren't telling a believable story. I regularly hero call regs who try to bluff me because their bet simply doesn't make any sense. The easiest way to figure out if your bluff makes sense is to always ask yourself if there are at least a couple other value hands that you would play in the exact same way. Your competition at the micros might not be world beaters. However, they aren't complete idiots either. If you are literally representing nothing with your bluff, then they are just going to call you down. You need to be telling them a believable story instead. Lastly, you should only be bluffing the weak players at the micros. These are usually the tighter regs who have a WTSD% in the low 20's or less. These are the guys who don't like to go to showdown without a strong hand. If you try to bluff the calling station regs or almost any fish, they are just going to call you down without even thinking. Because that is what they do best. One of the quickest ways to start turning your results around at the micros is to win a few more of the pots that nobody really wants to fight for. Most people will just check it down and hope that their hand winds up the best. But how can this ever be a good strategy to get ahead in this game or in any pursuit in life for that matter? You are literally leaving your success up to chance. 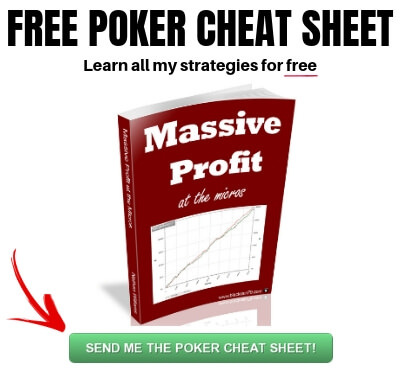 The only way to really start winning big in poker is to take more pots away from your opponents than they take away from you. And luckily this is still pretty easy to do at the lower limits. Hopefully a few of the strategies in this article will help you out. 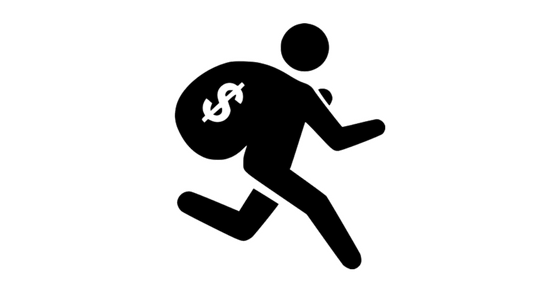 Let me know your favorite ways to steal more pots at the micros in the comments below. 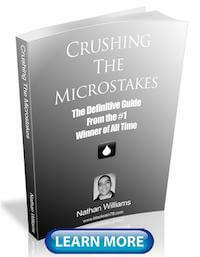 Lastly, make sure you grab a copy of my free poker ebook in order to learn my complete strategy for crushing the micros. Great stuff as always, one question for you, my non show down winnings are steadily going upwards, but my show down winnings are in the negative. Any advice? Should I switch up and tighten my range while still being super aggressive? Thanks again for any input!! Love your work! Really appreciate the reply brotha! Thanks again! I don't understand why you are looking at the 3B stat for regs who isolate limpers wide. aren't iso raises & 3 bets two completely different things? Oops thanks for pointing that out ekw. I meant 4Bet the light 3Betters. Fixed now.